4 rear sensors with control unit, speaker and adapters. 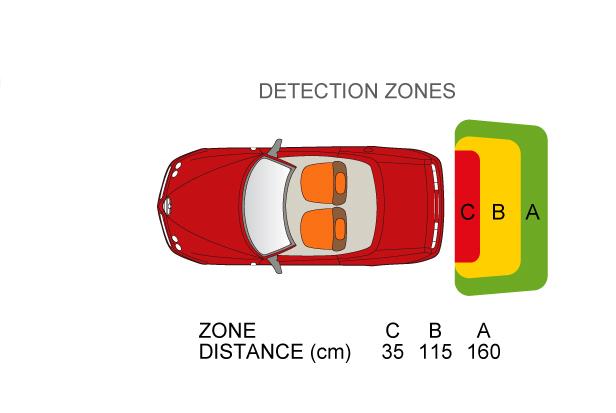 The Park Distance Control (PDC) kit comes with 4 proximity sensors designed to alert the driver in case of obstacles behind the vehicle. The system can also be tailored to suit any particular vehicle. The 514 is a universal parking system which relies on the reflection of sound waves emitted by ultrasonic detectors spaced equally across the bumpers, to assure the best read-out. When enabled, the system provides an instant, automatic, self-diagnostic function: it will exclude any faulty sensor and keep the other ones active. The waterproof sensors can be set up so as not to be impeded by a rear mounted spare tire/tow bar and spray painted to colour match the bumper. Sensitivity, detection range and buzzer volume are adjustable to the preferred level via the 2 buttons on the ECU or via a dedicated configuration software. 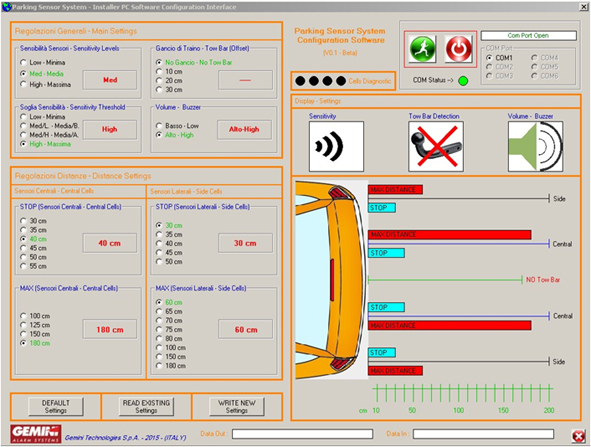 Sensors can be configured via a user-friendly PC software. The dedicated interface also allows reading and overwriting previously configured parameters.